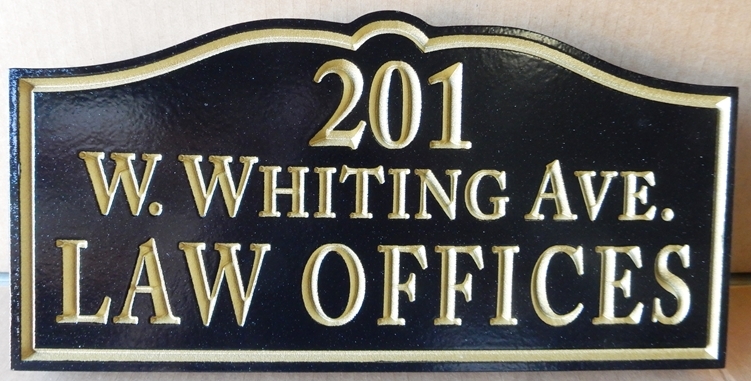 Above is a carved HDU sign for Law Offices with office address. This attractive and distinctive sign features 3-D carved text and double borders painted in both black and silver. The sign was painted in automotive-grade, long-lasting Matthews paints, followed by two successive applications of highest quality Matthews clear coat for added durability and UV protection.